The yuan strengthened beyond 6.5 a dollar for the first time since 1993, supported by speculation the central bank will allow appreciation to help tame the fastest inflation in more than two years. Indonesia is looking to attract more direct investment from China over the coming years. The country, a member of the Association of Southeast Asian Nations trading bloc (ASEAN), hopes the move will help to narrow a gap in bilateral trade that has been widening in recent years. 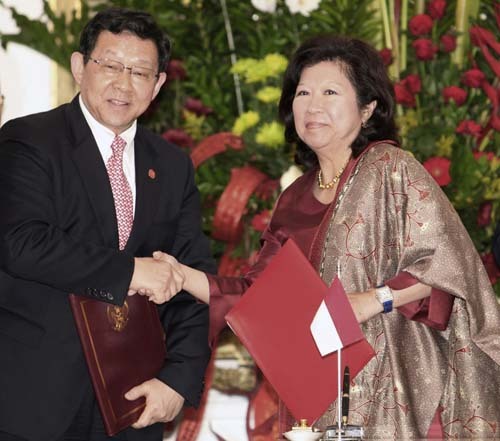 "The trade volume between Indonesia and China has seen remarkable growth during the past five years, and to better help us access the Chinese market and increase our exports, we hope Chinese businesses will increase their investment in Indonesia," Minister of Trade Mari Elka Pangestu told China Daily. Food Quality certification is the key point to accelerate the import and export between EU and China. 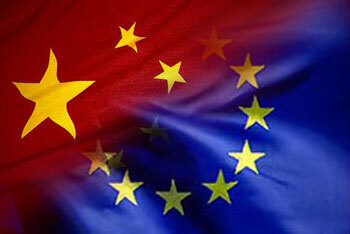 Last November EU had accepted to recognize 10 Chinese high level products. Now, after the official EU mission guided from the Commissioner of Agriculture Mr. Dacian Ciolos, will be opening soon the process of registration about 10 European DOP and IGP products also in China. The announcement arrive directly from the Commissioner of Agriculture that underline as “this Historical agreement will contribute to open the door for a stronger cooperation between EU and China on this important issue, connected with quality protection for our food productions”. Products like Grana Padano and Prosciutto di Parma from Italy, Roquefort and Pruneaux d'Agen from France, Priego de Cordoba and Mágina Sierra from Spain are into this first short list. Below the complete list about the mutual DOP and IGP that will be recognized by EU and China. All African countries view China's increasing economic power as a force for good, a poll showed on Sunday. 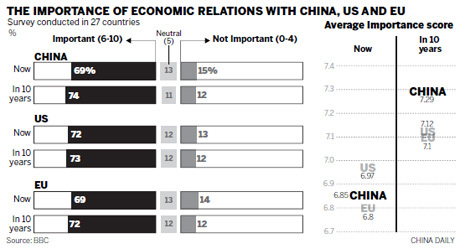 Asked how they view the possibility of an economically stronger China, Nigerians and Kenyans were the most enthusiastic among all countries surveyed, with around 80 percent expressing positive views, according to the survey commissioned by the BBC World Service. RADIATION tests on food imported from Japan in the wake of the radiation crisis in Fukushima Prefecture will be carried out soon, Shanghai entry-exit inspection authorities said yesterday. Hong Kong and Macau have also announced that fresh food from Japan will be tested. Shanghai Entry-Exit Inspection and Quarantine Bureau officials said that no food from Japan had come into the city since the quake, so Japanese food currently on the local market was safe. Meanwhile, Shanghai is not in imminent danger of nuclear leaks caused by the Japan earthquake because of current weather conditions, officials said. Radiation from the Fukushima Dai-ichi nuclear plant should not affect Shanghai or China in the next few days because the winds were mainly blowing in a northeastern direction, they said. The China Meteorological Administration said radioactive pollutants from the nuclear plant should mainly affect east Japan and the Pacific Ocean to the east over the next three days and then disperse to the northeast. The administration said the ocean currents around Japan were also moving east and northeast taking any pollution to the North Pacific and away from China's coastline. A Chinese environmental monitoring team has found no radioactive substances in the East China Sea from samples collected immediately following the first explosion at the nuclear plant. Initial test results of the sampled water showed no abnormal signs, Xu Ren, director of the environmental monitoring center of the State Oceanic Administration's East China Sea branch, told Xinhua news agency. Further tests will be conducted while a second batch of monitoring boats will leave today to collect more samples. In Shanghai, Fu Yi, a chief service officer with the Shanghai Meteorological Bureau said: "Winds are going from here to Japan and the trend of the nuclear pollutants is towards the northeast. The city should not be affected." Fu said the bureau would continue to monitor the direction of the wind and ocean currents to assess any potential impact on the city. Shanghai Environmental Protection Bureau said yesterday that the Ministry of Environmental Protection had put its national emergency reaction system into operation to monitor the nuclear leak issue and the city had launched 24-hour air and water radiation monitoring. Results of the four rounds of tests completed between 9am and 3pm yesterday had shown no abnormal levels of radiation in the local environment. "Locals should not be too worried as we are now keeping 24-hour monitoring and so far the radiation level in the city is still within a safe and usual scale," said Wang Mingxia, a monitoring official. The local radiation monitoring spots and labs are located on Hutai Road, in Zhangjiang in the Pudong New Area, in suburban Jinshan District and on Chongming Island. China welcomes a ruling from the World Trade Organization (WTO) over a Sino-US business dispute, said the Ministry of Commerce (MOC) on Saturday. The WTO ruled that US parallel anti-dumping and anti-subsidy duties imposed on four Chinese imports -- standard steel pipes, rectangular steel pipes, off-road tires and laminated woven sacks -- are inconsistent with WTO rules. China argues that the US imposure of two sets of duties on Chinese products is a "double remedy" that is illegal and unfair. 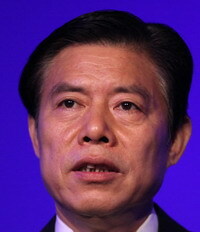 The WTO ruling supported China's position on the dispute, according to the officials. 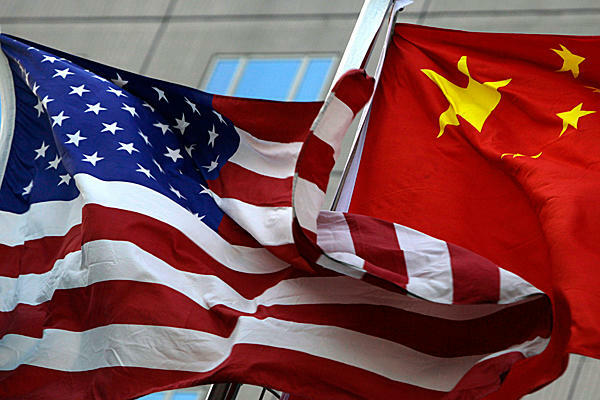 Furthermore, MOC officials urged business authorities in the US to amend its parallel anti-dumping and anti-subsidy measures involving the four products. Chinese officials hope that the US would correct its errors with regards to trade policies against Chinese imports and ensure fairness in the market. CRUISE ship passengers arriving at the city may soon be able to shop at port area tax-free stores, Vice Mayor Zhao Wen said at the weekend. 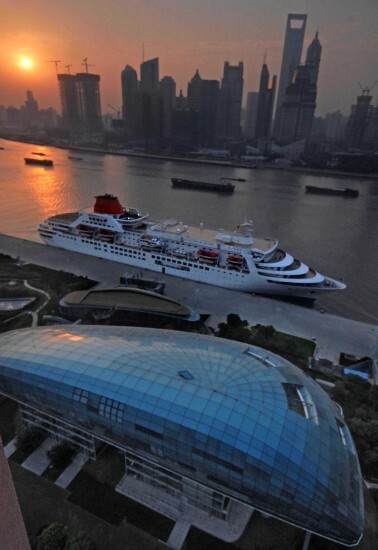 This is one of a number of measures designed to make Shanghai a leading worldwide cruise ship hub, said Zhao, speaking at the annual session of the National Committee of the Chinese People's Political Consultative Conference at the weekend. Other initiatives proposed by Zhao, who is a CPPCC member, include a visa-free cruise ship tour for Chinese people and developing cruise ship tours on inland rivers. CHINA will support self-improving actions by six trade commissions comprising more than 40,000 export-oriented companies in various industries to improve the quality of the country's exports. "Although China has become the world's biggest exporter, our trade is plagued by various problems, one of which is related to quality and the relatively thin profits," Vice Commerce Minister Zhong Shan said yesterday at the opening ceremony of the East China Fair, which runs through Saturday at the Shanghai New International Expo Center. "We should further improve the competitiveness of our exports, paying more attention to intellectual property protection and establishing our own distribution and marketing channels for more value-added goods," he said. Six trade commissions covering light industry, textile, mining, food, electrical equipment and medical machine sectors yesterday pledged to cooperate to upgrade the quality of products exported by their member companies. "We are innovating in design and technology of our products to attract buyers," said Linda Zhang of Zhejiang Haers Vacuum Containers Co. "We look forward to new achievements this year with our renewed efforts." 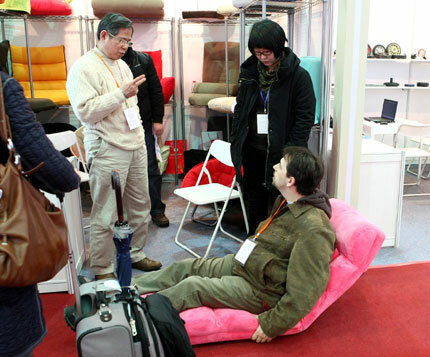 This year's fair, the country's largest regional trade event and a gauge of this year's trade activities, has more than 60 brands of products which won national awards for their quality, and more than 700 brands honored by provincial governments. Some of the products exhibited include silk products from Suzhou in Jiangsu Province, ceramics from Jingdezhen in Jiangxi Province and garments made of bamboo from Zhejiang Province. China's trade surplus fell 6.4 percent in 2010, with exports jumping 31.3 percent and imports surging 38.7 percent annually. 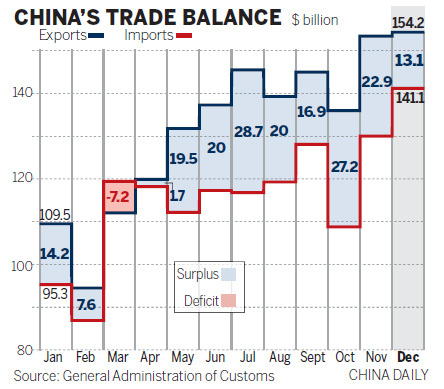 In January, China's trade grew robustly when exports rose 37.7 percent and imports soared 51 percent. CHINA will launch a state-level investment review body to ensure merger and acquisition deals struck by foreign firms in the country do not endanger national security, the State Council, or Cabinet, said yesterday. The new regulation will come into effect in March. Foreign investments in military, agriculture, energy and resources, key infrastructure, transport systems, key technology sectors and "important equipment manufacturers" may be subject to reviews, according to a statement published on www.gov.cn. The review will be conducted by a "foreign investment security review board" under the Cabinet. Members of the board will come from the National Development and Reform Commission, the Ministry of Commerce and other agencies on an ad hoc basis. China introduced an anti-trust law in 2008 and has blocked deals that do not conform with its national plans. China rejected Coca-Cola's US$2.4 billion bid for the country's top juice maker Huiyuan in 2009 and buyout giant Carlyle's US$375 million bid for Xugong, the nation's biggest construction equipment maker, in 2008. The government has also blocked several foreign attempts to buy into its huge steel sector. In 2007, it blocked ArcelorMittal from gaining a majority stake in China Oriental Group and in 2009 it forced Russia's Evraz Group to abandon an option to take control of Delong Holdings Ltd, a Chinese steel maker listed in Singapore, in a US$1.5 billion deal. China attracted US$105.7 billion in foreign direct investments in 2010, 17.4 percent more than in 2009. According to the new regulation, Chinese government agencies, trade associations, competitors, suppliers and other related parties are allowed to apply for review of a foreign-related M&A deal. The process will include two parts - a general review and a special review. Deals that fail the general review will undergo a special review that may last up to 60 days. The government can terminate a deal that could potentially threaten national security. China's trade surplus narrowed in 2010 for the second straight year - helped by increased domestic demand - and the trend is expected to continue for the first half of 2011, economists said. The trade surplus for 2010 totaled $183.1 billion, down 6.4 percent from a year earlier, according to figures released by the General Administration of Customs on Monday. GRADE A office rentals are expected to climb by as much as 15 percent this year in Shanghai, with the Puxi area continuing to outperform Pudong, a major international real estate services firm predicted yesterday. Office rents in Puxi may rise 15 percent over the next 12 months while they will likely gain 10 to 15 percent on the other side of the Huangpu River, according to Jones Lang LaSalle's latest research. "Continued strong demand from multinational companies and a limited amount of available space is leading to a rapid rise in rents in Puxi," said Anthony Couse, managing director of Jones Lang LaSalle Shanghai. "Meanwhile in Pudong, the market has also been registering robust demand from both overseas and domestic financial firms since the last quarter of 2010." 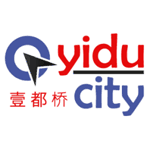 Grade A office rents rose 7.1 percent to 7.60 yuan (US$1.14) per square meter per day in Puxi in the fourth quarter of last year, the fastest quarterly increase since 2005, the company's data showed. During the same period, rents across the river in Pudong also rebounded 5.8 percent quarter on quarter to 7.40 yuan per square meter per day, the firm said. On the supply side, nearly 1 million square meters of new Grade A office space will come on the market across the city this year, with more than two-thirds of them being located in Pudong.